When early neurophysiologists, like William Grey Walter (1910–1977), started using intermittent photic driving in electroencephalography, they were struck by a wide range of visual hallucinations that were reported. In current neuroscience, the phenomenon is used mainly to model hallucinations that are related to altered neuronal activity between the thalamus and the visual cortex, such as the Charles Bonnet syndrome. However, during the psychedelic 1960s, Brion Gysin (1916–1986), a painter and a poet, became interested in the hallucinations and designed his own stroboscope or dream machine, as a means for spiritual enlightenment. 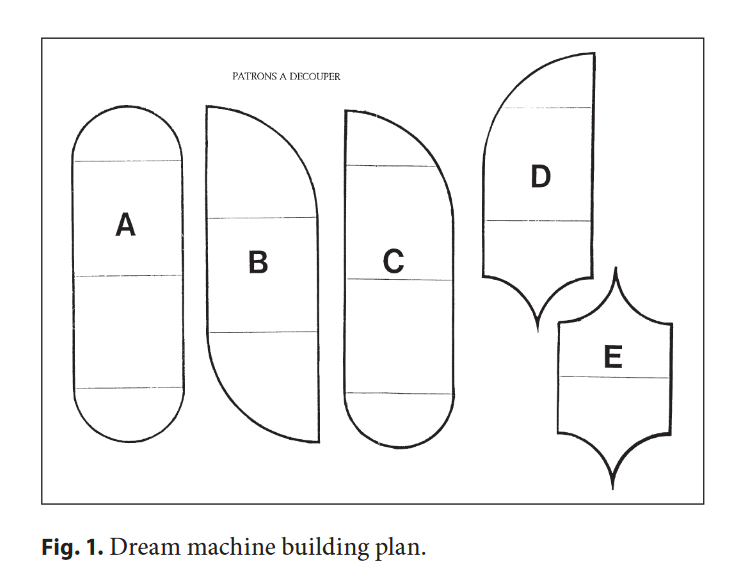 This article traces back the history of flicker-induced hallucinations from the early use of stroboscopes in neurophysiology to the dream machine.